All things considered, the partial shutdown that caused trading Canada’s major stock exchanges to stop over an hour early last Friday could’ve been worse. It happened on a low-volume trading day, and the underlying technical issues were fixed quickly enough that Monday was business as usual. But according to fund managers and traders speaking to Reuters, the early halt in trading could dent the credibility of TMX Group Ltd. and push investors toward other trading channels. Traders said the outage drove investors to TMX competitors and, in the case of some major Canadian companies that are also cross-listed, exchanges in New York. These included Chi-X, Pure Trading, and MATCHNow, according to Manulife Asset Management senior trader Peggy Bowie. Cockfield said he’s expecting traders who “don’t want to be caught twice” by a TMX shutdown to take precautions by establishing alternative trading routes. Jos Schmitt, CEO of the Aequitas NEO Exchange, echoed Cockfield’s sentiments. “It is bad for the Canadian markets’ reputation overall,” he said. He also called on the Canadian Securities Administrators to help address current industry-wide issues, including what he described as complacency over a lack of real-time market data. 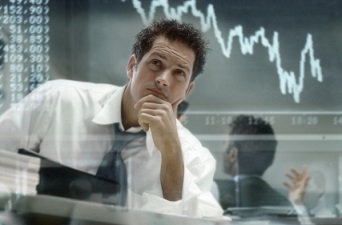 Some traders, however, are looking for more clear and specific reassurance. “The TMX has to manage damage by being very straightforward and clear with what backup systems they will have going forward,” said Diana Avigdor, head of trading and portfolio manager at Barometer Capital Management.